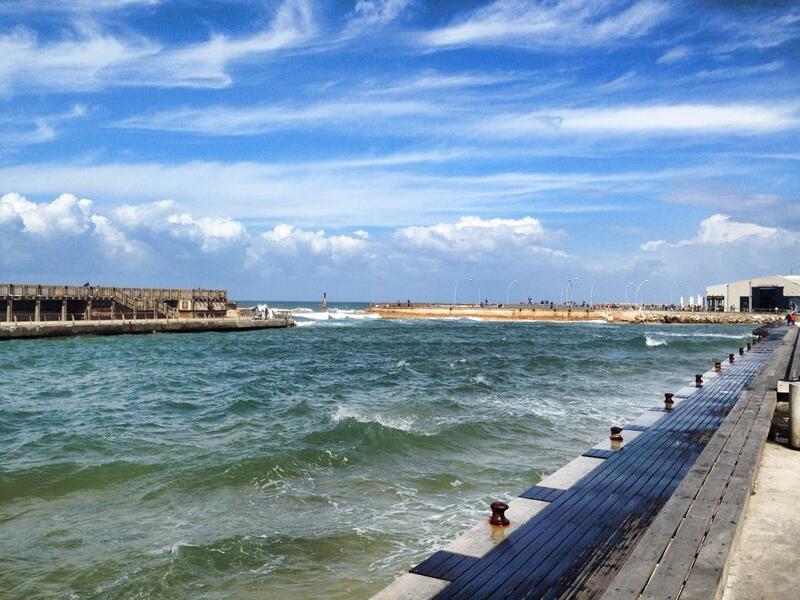 Tonight, Israel’s Tel Aviv Port welcomes 2,000 Jews for a world-record-breaking Shabbat. Like many Jews, Victoria Kimerling plans to celebrate the end of a long workweek by sitting down to a traditional Shabbat meal. But unlike most traditional Shabbat meals, Kimerling will spend this one with 2,000 of her closest friends. Today, Jews from around the world will witness a once-in-a-lifetime opportunity as nearly 2,000 people gather under one roof for The Guinness Book of World Records World’s Largest Shabbat, also referred to as #WorldsLargestShabbat on social media. The celebrations are scheduled for Friday evening in the Tel Aviv port and are hosted by White City Shabbat, a non-profit organization focused on sustaining and revitalizing young Jewish life in Tel Aviv. The event aims to unify Tel Aviv’s growing population by holding the largest recorded Shabbat dinner ever. “It’s a gift to the city, a gift to Tel Aviv and a gift to the people,” says Jay Shultz, founder of White City Shabbat and president of the Am Yisrael Foundation. Attendees and special guests, including Chief Rabbi Israel Rav Yisrael Meir Lau, Mayor Ron Huldai and several Knesset members, will have the chance to drink, dine and celebrate while making history. In addition, an official Guinness Book of World Records adjudicator from London will be attending in order to record the momentous occasion. Shultz says the representative was greatly needed because many of Guinness’ record-keeping policies violated Shabbat customs (i.e. photographing and videotaping). Along with organizing the guests, much work had to be put into determining what “setting the record” meant since nothing like this has been done before. Shultz says after much conversation, Guinness decided that the record would be set at 1,000 attendees and anything over that would be considered record breaking. “Go big or go home,” he says. The event is free and open to the public with the majority of guests being young Jewish professionals in their 20s or 30s. All attendees were required to register online, and donations were encouraged in order to meet the required base funding for the venue, food and officiators. Those who donated were given a guaranteed seat. Shultz says most people contributed, with donations as small as 18 shekels ($5) to as large as $1,000. Kimerling, a volunteer for the Am Yisrael Foundation, says she was responsible for the fundraising campaign, which began on Feb. 13 and lasted until April 25, when 106 percent of the fundraising goal was met. The foundation used Indiegogo, an online tool, to help raise the $25,000 needed. Additionally, event sponsors include Golan Heights Winery and the Nefesh B’Nefesh Lone Soldier Program. The traditional Kabbalat Shabbat will be held at Hangar 11, a concert venue on the port. A candle-lighting ceremony, Kashrut dinner and optional prayer service will take place. However, tickets and all available seating were sold out last week, just eight days before the event. The event hosts also had to be extremely mindful of the religious aspect of Shabbat. Though the gathering will host guests with different levels of Jewish observance, those who are shomer Shabbos (or Shabbat observant) refrain from any type of work. This includes driving, cooking and writing between sundown on Friday and Saturday. In order to abide by the traditional customs, doors will open around 6 p.m. so that guests can make their way to the event before Shabbat begins at about 7:30 p.m., Gerlitzky says. Because the use of electricity is also prohibited, this time before sundown will be used for speeches and other activities that require a microphone. Gerlitzky says among those speaking is Rabbi Lau, the chief Rabbi of Tel Aviv. Shultz says he is very confident that the event will be a success especially because Tel Aviv is such a vibrant and exciting community. Along with his “army” of working volunteers, his goal is to elevate and show the world what has always been here. “Some of it will be balagan, but that you can’t help,” he laughs.